WASHINGTON (Sputnik) - The imports of forged steel fittings from China and Italy hurt US industry and the US Department of Commerce will issue anti-dumping duty rules as a result of this determination, the United States International Trade Commission (USITC) said in a press release on Thursday. 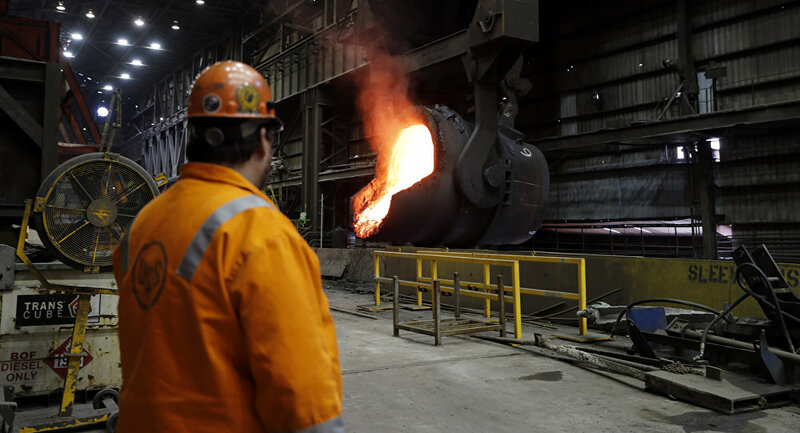 "The United States International Trade Commission (USITC) today determined that a US industry is materially injured by reason of imports of forged steel fittings from China and Italy," the release said. Forged steel fittings from China and Italy are sold in the United States at "less than fair value" and are subsidized by the Chinese government, according to the US Commerce Department. USITC Chairman David Johanson and Commissioners Irving Williamson, Meredith Broadbent, Rhonda Schmidtlein and Jason Kearns voted in favor of the decision, according to the press release. The Commerce Department will issue anti-dumping duty rules on steel imports from China and Italy as a result of the action.